Last week, Mrs Breen and 10 students from Gallen CS travelled to the University of Limerick to attend the 2017 Cycle Against Suicide Student Leaders’ Congress. The Congress focused on raising awareness of the message ‘It’s OK not to feel OK; and it’s absolutely OK to ask for help’, and promoting help-seeking behaviour in young people. This year’s Congress was the biggest to date, with over 6,000 students and teachers attending over two days in UL. The Congress brings together young adults and teachers from all over the island of Ireland in an inspiring and energetic forum comprising live entertainment, discussion, celebrity guests, and much more. This year’s guests included former Connaught rugby coach, Pat Lam, Minister of State for Mental Health and Older People, Helen Mc Entee, with entertainment provided by The Strypes and Orla Gartland. “We’re thrilled with reaction to our biggest Congress yet”, said broadcaster and Cycle Against Suicide CEO, Colm Hayes. “It is our aim to let each and every student on the island of Ireland know that ‘It’s OK not to feel OK; and its absolutely OK to ask for help’, and then, to empower these students to spread this message within their own homes and families. Together, shoulder to shoulder, we can break the cycle of suicide on the island of Ireland. We’re extremely grateful to our primary sponsors, the University of Limerick, for their support in making our biggest Congress yet such a success”, Hayes continued. Very much a student-led event, a large portion of the day actively involves students. but it also carried a very important message; that our mental health, just like our physical health, needs to be cared for. The 2017 Cycle Against Suicide, a 14-day cycle around the island of Ireland aimed at bringing the message “It’s OK not to feel OK; and it’s absolutely OK to ask for help” into homes and communities all around the island, begins on Sunday, April 23rd, and concludes on Saturday, May 6th. There are many ways to get involved whether it be as a cyclist or a volunteer. For more information on this, or the Cycle Against Suicide Schools Programmes, check out www.cycleagainstsuicide.com , search Cycle Against Suicide on Facebook, or @CASuicide on Twitter. 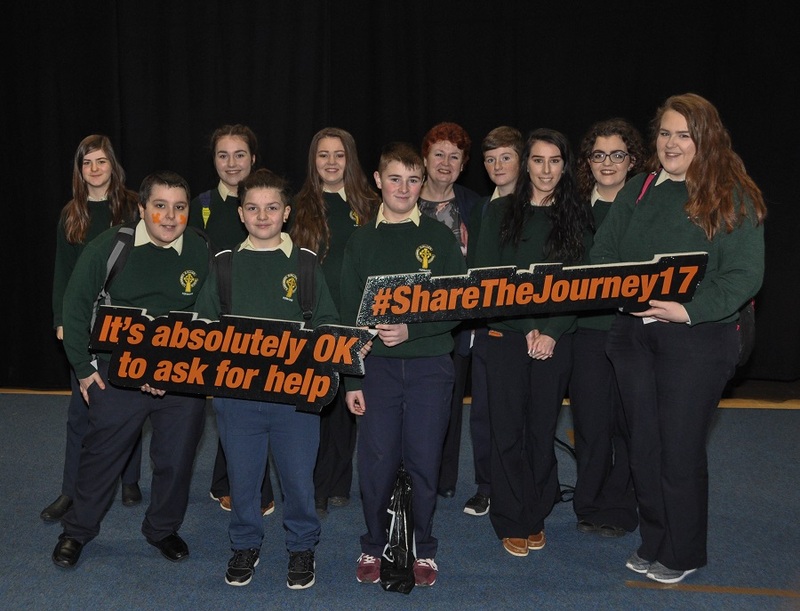 In the meantime in Gallen CS our focus will be on Feb 17th where schools are asked to “GO ORANGE” and highlight mental health awareness in school on that day and where students can get support if feeling down, anxious or depressed.